Expect respect from your sister-in-law, and you'll be more likely to get it. She has little to say to you unless you address her directly, and rarely smiles or attempts to include you in conversation. Ordinarily, you'd never worry what a person this cold thinks of you, but since she's your brother's wife, you'd like to establish at least a cordial relationship. While doing so may be difficult, doing so can pay off at family gatherings and other events that might otherwise feel awkward. Focus on yourself, rather than trying to change your sister-in-law, advises psychologist Marie Hartwell-Walker in the PsychCentral.com article, "Sister-in-Law Issues." Resist the urge to return like for like, and concentrate on your own behavior. If you're normally a friendly, outgoing person, remain so. Don't change your method of interacting as a response to your sister-in-law's poor communication style. Keep your chin up and continue to be your sweet self even if she looks down her nose at the dressing you brought to Thanksgiving dinner or the new sweater you bought your husband. Never talk behind her back, because chances are the information will get back to her. Make sure her freezing cold behavior is completely unjustified. 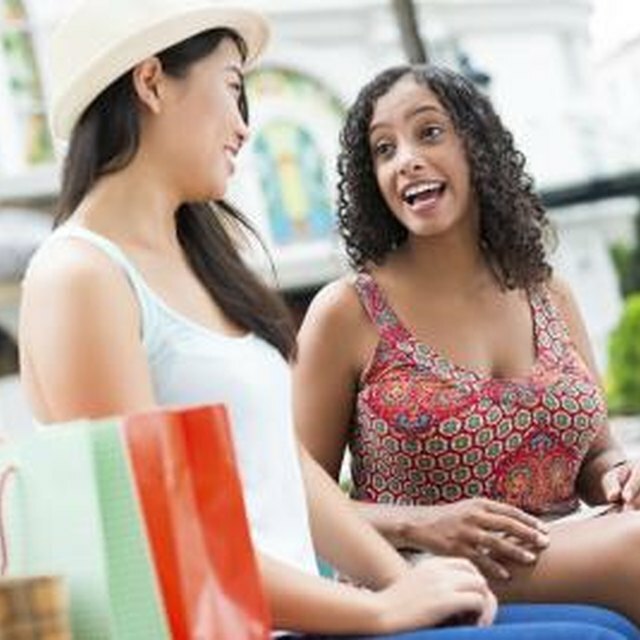 You may have anticipated happy family gatherings when you got married, and hoped for a sister-in-law who would be a fun shopping buddy whom you could share family stories with over coffee. Accept the reality that this is not the case, and you'll have an easier time adjusting to your sister-in-law's chilly behavior. Keep conversations on a surface level, advises Hartwell-Walker. Don't expect her to share in your happiness and good mood, because it's likely that she is not a happy person. Don't bend over backwards trying to please a cold sister-in-law. Such rejecting people sometimes believe that if they are cold enough, they can get you to leave the relationship, says psychotherapist Susan Forward, Ph.D. in her book, "Toxic In-laws: Loving Strategies for Protecting Your Marriage." If you think your sister-in-laws cold behavior originates from a desire to deliberately make you feel unwelcome in the family, simply be yourself and do your best to ignore her chilly behavior. It is not unrealistic to expect your sister-in-law to treat you with basic courtesy and respect, notes Forward. If your sister-in-law makes disparaging remarks to you, you are completely within your rights to challenge them. For example, if she says, "John was much happier before he married you," you might say, "While you have the right to your opinion, if you don't have anything supportive to say, I'd prefer that you not say anything at all." Stop there, and let your words sink in. While your sister-in-law won't be pleased about the limits you've established, eventually you may gain a grudging respect. "Toxic In-laws -- Loving Strategies for Protecting Your Marriage";Susan Forward, Ph.D.
What Makes the Excitement in a Relationship Go Cold?